Matt Bennett, Diego Bucchieri, Austin Stephens and Jordan Taylor and all featured in Toy Machine's Subhumans tour video. Click here! 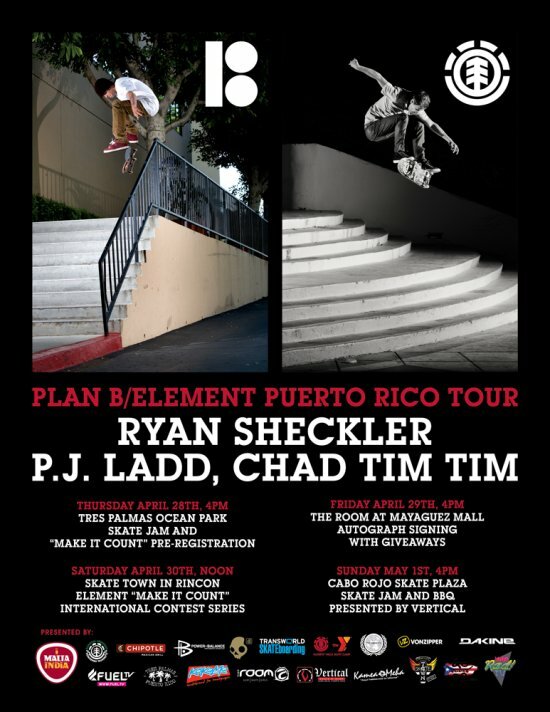 Chad is down in Puerto Rico with the Element and Plan B team. Try to catch a demo stop if you are lucky enough to be out there. Jordan Taylor rides for Brixton. Check out some Jordan Taylor footage in this Brixton clip. 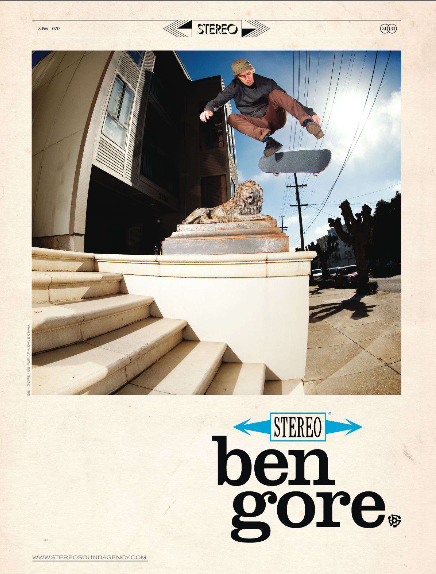 Ben Gore's latest Stereo ad featured in the newest Transworld. Toy Machine and Thrasher Magazine will premiere Toy's Subhumans tour video April 29th featuring Matt Bennett, Austin Stephens and Jordan Taylor. Check the trailer here! Nick is out in Las Vegas with the Neff team. 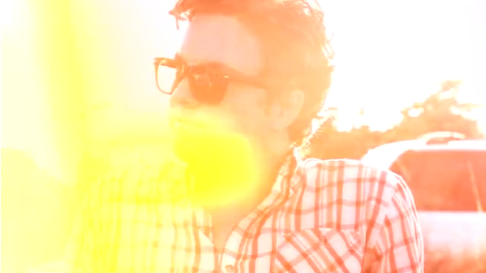 Check the Neff site for more updates on Nick. Check out the crew over at Burnout. Check out Dakota Servold, Ryan Spencer and Nick Merlino over at Burnout! This one is proper, the others are stink bug. TWS just posted this amazing shot of Ben Gore. 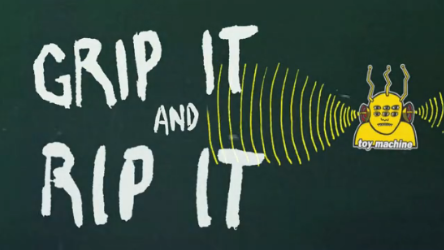 Save it! Win Austin's complete from Toy Machine! Congratulations to Ryan Spencer for qualifying 9th out of 160 skaters today at Phoenix Am. Check out PHX Am site for all the updates and placings.